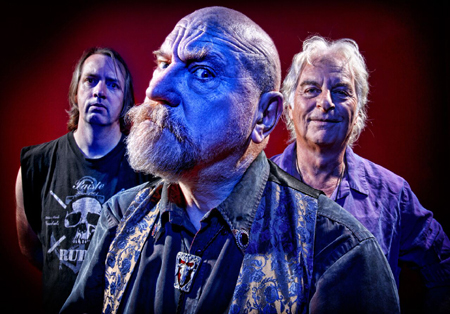 Forged out of the glam, punk, Heavy Metal, blues and rock n' roll movements in the crucible of 1970s northern England, Vardis were inspired by the great rockers and electric bluesmen of the fifties and sixties. 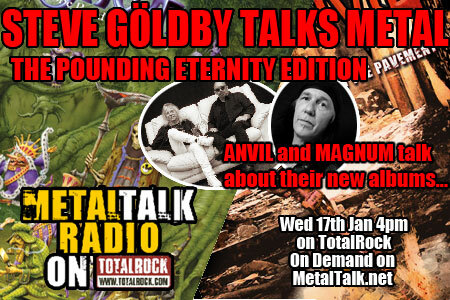 Learning their trade from the young guns of hard rock and punk in the seventies, they achieved prominence in the early eighties as part of the New Wave Of British Heavy Metal (NWOBHM) movement alongside bands like Iron Maiden, Saxon and Def Leppard. Frontman Steve Zodiac counts himself lucky to be a teenager in one of the most fertile decades in music history, the seventies, when he formed Quo Vardis as a five-piece rock n' roll band in 1973. It didn't take long for the band to ditch the "Quo" part of their name and shed two of their number. From then on in, the trio honed their craft in the Working Men's Club circuit of northern England. The band released their self-funded '100 M.P.H.' EP in 1979, which brought the band major label attention and they subsequently signed with Logo Records. Vardis quickly gained notoriety and a big live following due to their high energy, no holds barred live shows and in 1980 they released their classic debut album, also called '100 M.P.H.' which was recorded totally live in the studio and proudly proclaimed "Guaranteed No Overdubs” on the sleeve! Soon the band were on the road with a punishing tour schedule that saw them sharing stages with Motörhead, Saxon, Girlschool and Angel Witch as well as joining Hawkwind on the 33 date 'Levitation' Tour. Keeping the momentum going in 1981 the band released their first studio album, 'The World's Insane', which was actually recorded for their BBC Session for Tommy Vance's Friday Rock Show before their appearance at the legendary Heavy Metal Holocaust alongside Motörhead, Ozzy Osbourne, Triumph and Riot. In 1982, Zodiac was placed in the world's top 15 rock guitarists by Sounds Magazine as Vardis embarked on a UK Tour with Slade and their own European Tour supporting their third album, 'Quo Vardis', which even featured guest appearances from Squeeze's Jools Holland and Status Quo's Andy Bown. 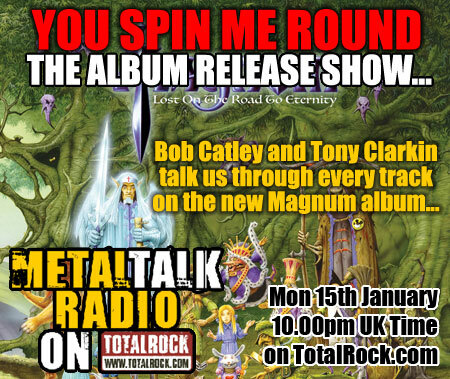 The album received mixed reviews due to the experimental nature of the album from some of the established Heavy Metal press, alongside support from more open-minded journalists and DJs. As is often the way in the music business, financial troubles reared their ugly head when Zodiac took court action against Vardis' Management and Publishing companies and he won back his songs in a two-year legal battle which caused a lengthy and undesired hiatus for the band. Line-up changes ensued with Terry Horbury joining the band in 1984 and he would remain until his death in December 2015. The band continued to record however, releasing the 'Vigilante' album in 1986, but Zodiac soon became disillusioned with the music business and walked away from the band as Vardis seemed to be destined for the history books. Nothing was heard from the band for nearly thirty years, however in 2014 Zodiac began re-mastering the 'Vigilante' album, and to coincide with it's re-release on Hoplite Records Vardis subsequently reformed and their first gig was headlining the second Brofest, a NWOBHM festival held in Newcastle, England which was followed by live dates in Germany. After the warm reception during the reunion shows, Zodiac and Horbury not only felt at the top of their game but that they had more gears to hit and so decided to continue. They recruited powerhouse drummer Joe Clancy and set to work on their first new Vardis material in nearly thirty years. To mark the start of a new era, the line up released the '200 M.P.H.' EP in June 2015 to critical acclaim and this was followed up by a special live launch show at London's Bush Hall. 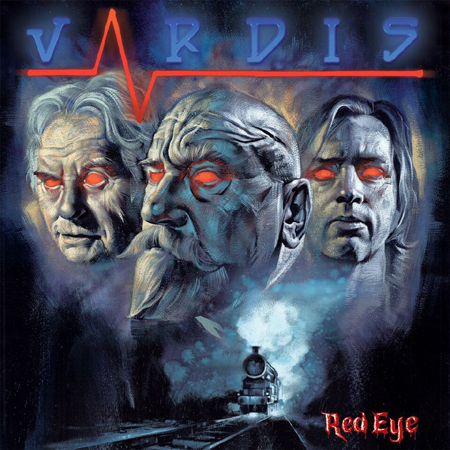 In late 2015, Vardis inked a deal with the SPV/Steamhammer family, and are proud to release 'Red Eye', their fifth album and the final recordings featuring Terry Horbury, and it's very much a return to form for the band. Title track 'Red Eye' kicks things off and it's a solid if somewhat slow paced number featuring a killer guitar riff courtesy of Zodiac who also gives a strong vocal performance before his guitar solo kicks in half way through which is a measured and technical sounding affair. The follow up, 'Paranoia Strikes', was an instant favourite with me with its mid-paced guitar intro and the short, snappy chorus that Zodiac users to his advantage as he sings the "para para paranoia strikes" refrain in what could be a fist pumpingly good live moment. 'Head Of The Nail' further on in the album is another mid paced track that turns into a bit of a foot stomper that doesn't deviate much the band's tried and tested formula. In comparison, 'I Need You Now' is an all out rocker from the great guitar riff that drives the song onwards which is fully backed up by the simple and solid beat from Clancy. There's nothing too technical about this song and sometimes, as is demonstrated here, simple is often best. Beyond that you have a couple of soon to be classic tracks I'm sure, in the form of 'Lightning Man' and 'Back To School'. The former has an almost Status Quo-esque twelve bar opening from Zodiac which dominates the sound in the mid paced number. Zodiac really stretches himself vocally but he gives a passionate performance from start to finish. The latter, too, is another full-on rocker that wouldn't look out of place on a Quo or AC/DC album. You can hear the band firing on all cylinders as they rattle through it and the excitement and energy from the band is almost tangible. Sure the vocals may be a bit further back in the mix, but there's some great backing vocals give it a bit of extra boost. The long instrumental section hands the spotlight to Clancy before the track builds back up to full volume. Overall it's a terrific track from start to finish and, all in all, these two are real highpoints in the album as well as being a couple of firm favourites of mine and no mistake. Another standout track for me is 'Hold Me', a song that has something different to offer. There's a great slide guitar passage from Zodiac at the start as the track develops into a slow bluesy intro before the pace picks up mid-way through. Clancy holds down the complex beat well before Horbury gets his moment in the spotlight showing what a great rhythm section this pair really are, before Zodiac wades in with the guitar solo in what is a great way of showcasing the skills of the individual band members to create a polished performance. It's clear from this album that the band aren't short of ideas and certainly aren't out of practice. 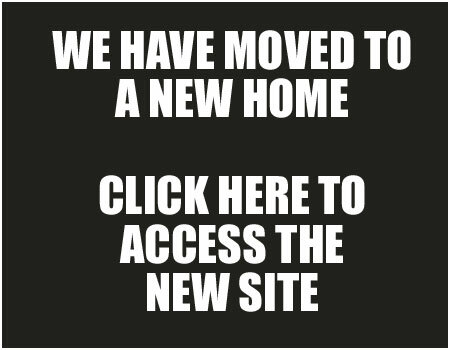 The past is the past and the band are moving forwards so let's hope they keep the momentum going as they still have a great deal to offer older fans and new ones that they're picking up on the way. Vardis certainly aren't a nostalgia act riding on the coat-tails of the past but are continuing to produce new material that comfortably sits well alongside what has gone before.